The Eater of Books! : September 2017 New Release Giveaway! 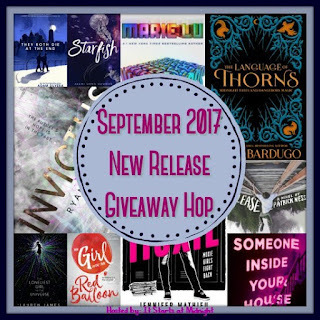 Welcome to the September New Release Giveaway Hop! The September New Release Giveaway hop is hosted by It Starts At Midnight. Win an September '17 book pictured above! Print or ebook (print = The Book Depository only). It must be one pictured above. Winner has 48 hours to respond. The usual Giveaways rules apply. I'd choose War Cross by Lu. I'd choose An Enchantment of Ravens! Maybe the novella by Laini Taylor! Thank you for the giveaway! Ooh I would choose Conspiracy in Belgravia! Thank you for the giveaway! I see three books here that I would probably choose among--but I'm not sure exactly which one would be my top choice! Speak Love, Speak Easy, but there are too many I want to read! Sooo many amazing September releases, not even sure which one I would choose.. Super excited for The Language of Thorns by Leigh Bardugo, Godsgrave by Jay Kristoff, Night of Cake & Puppets by Laini Taylor..
heard nice things about War Cross!! I'm still waiting for a copy from somwhere. Black Bird of the Gallows is one that I am really curious about. My top 2 are Language of Thorns and Jane Unlimited! FIRE QUEEN by Emily King!!! I can't wait for Fireblood I feel like it's been ages since I read the first book! I'd love to get a copy of Godsgrave, though Night of Cake & Puppets, and Black Bird of the Gallows are right up there too. Thanks for the chance to win such cool books. The main one I am looking forward to is Girls Made of Snow & Glass!! I'm really looking forward to IF THERE'S NO TOMORROW, BLOOD GUARD, and JANE, UNLIMITED! This is going to be such a great month for book releases!! Thanks for the awesome giveaway, Alyssa!! The Black Bird of the Gallows and Before She Ignites sound exciting to read. Poison Dark and Drowning caught my eye. Probably Invictus or Night of Cake and Puppets. Time travel! And I didn't love Daughter of Smoke and Bone, but I was curious about the best friend and violin boy, and school time sometimes makes me crave silly, fun romances. :) Thanks for the chance! I would definitely choose Fireblood. I cannot wait to read that one! Thanks for the giveaway! "Jane, Unlimited" because I've been waiting YEARS for a new Kristin Cashore book!! Such a hard choice! I'd probably choose Warcross or Before She Ignites! My first choice would be To Beautiful Too Break. I'm looking forward to reading Chasing Christmas Eve and How to Seduce a Sorcerer. I'd love to read Before She Ignites by Jodi Meadows! I'm also really looking forward to reading the Empty Grave by Jonathan Stroud. Thanks for the giveaway! I am looking forward to read Tower of Dawn! And I would like have Before She Ignites or Language of Thorns. There are really only two books this month that are on my major "I need to read list." Those are Leigh Bardugo's Wonder Woman and Tower of Dawn. I'll choose Night of Cake & Puppets by Laini Taylor. Also, looking forward to reading The Language of Thorns. I would like to read Night of Cake and Puppets. Lots of great books coming out. So many! I'm definitely looking forward to The Enchantment of Ravens, Warcross, The Language of Thorns and Little Fires Everywhere by Celeste Ng! I've been waiting for a new Kristin Cashore book for ages, so that's definitely the YA I've been looking forward to! Looking forward to Blackbird of the Gallows. That is what I would choose! Thanks for the giveaway! I would choose Black Bird of the Gallows! A Gentleman Never Surrenders by Lauren Smith looks like my type of read! I'm looking forward to A Conspiracy in Belgravia. Oh they look so good! I would pick Too Beautiful To Break! Sounds really good! I'm pretty excited about Warcross and Invictus. Sorry, didn't realize it had to be one of the books pictured.. just delete my entries. 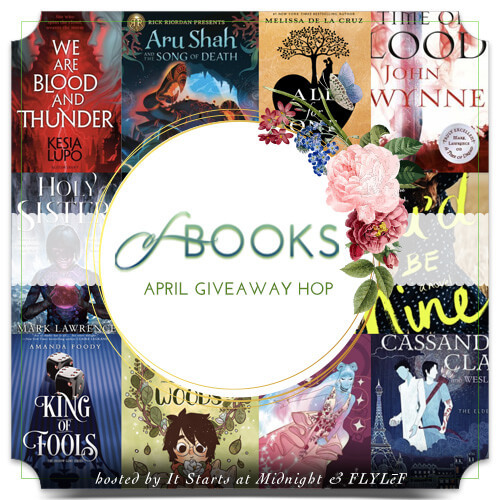 There are so many wonderful books coming out this month! I'm especially excited for Warcross and Jane, Unlimited! Hmm, either Warcross or Jane Unlimited I think. Thanks for the giveaway! So many books to pick! I would probably go Jane Unlimited! I would probably pick Night of Cake & Puppets by Laini Taylor because I loved the series but never got around to reading the novella. I have all of the books in hardcover, so I like the idea of adding the physical book to my shelf. I'm looking forward to Hunting Prince Dracula by Maniscalco. I read Blackbird of the Gallows by Kassel and it was great. Had bee keepers and harbingers in it. I would choose Blood Guard by Megan Erickson. I am looking forward to reading Immortally Yours by Lynsay Sands, and Dark Legacy by Christine Feehan. I think I would pick A Conspiracy in Belgravia. I would love to read Highland Flame. Super excited to read Warcross, The Language of Thorns, Godsgrave and Tower of Dawn!! Warcross and Enchantment of Ravens! I am excited for Warcross and If There is no tomorrow. The covers on both covers are very expressive and modern! 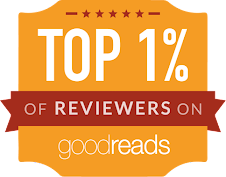 I'm excited by Warcross, Jane Unlimited, and Fire Blood. Thanks for the giveaway! 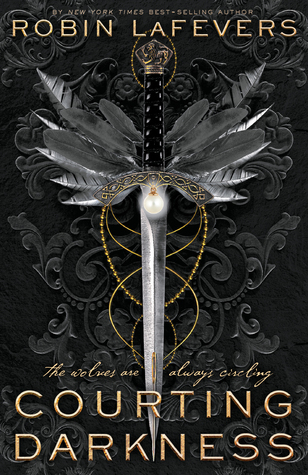 One that I'm looking forward to is Tower of Dawn by Sarah J. Maas.